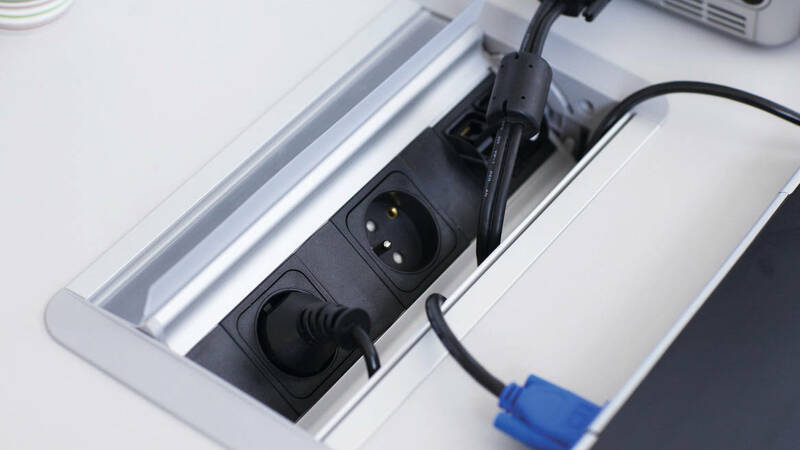 Steelcase connection units allow quick and easy access to data, power, and technology networks. Ranges include: Connecting Hub, Steelcase In & Out and Intergrated Top Access. Steelcase In & Out allows easy and above the desk connection access to plug in equipment. It is designed for meeting and training rooms.